Guru Prasad Mainali Biography. Guru Prasad Mainali (Nepali: गुरुप्रसाद मैनाली) was born 1900 and died due to Sugar and pressure in 1971. He work very famous book named Naso. 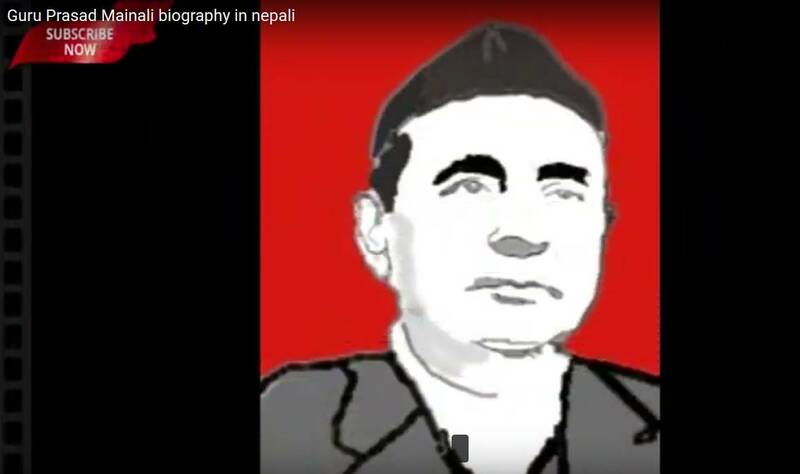 He was also known as Nepali short story writer. Paral ko Aago was the first filmed short story of Guru Prasad Mainali. He is also known as one of three well-known writers of Nepali literature, along with Bishweshwar Prasad Koirala and Laxmi Prasad Devkota. Guru Prasad Mainali was born in a middle class Brahmin family in Kanpur of Kavrepalanchok. Mainali were supposed they were from 13th Century. Mainali were first known as joshi in nainital of india the were supposed to enter Nepal at the time of Malla King. Due to the good education they were given to live in Kanpur of Kavrepalanchok district of Nepal He was a son of Kashi Nath Mainali and Kashi Rupa Devi Mainali. He was from the first married wife of Kashi Nath Mainali. His father married second with Satya Vama Mainali who was 11 year younger than his son (Guru Prasad Mainali). Guru Prasad Mainali was unable to take formal education as his father had to go to different part of the country in the government job. He joined a government job although he was unable to attend formal education. But, he took informal education of shanskrit, Nepali, Hindi, Maithili, Bhojburi. He was posted in Central Development Region in government job at the age of 17. Guru prasad Mainali Married at the age of 9 but this marriage was not lasted for long. 1. 'Paralko Aago' (A Blaze in the Straw), filmed as Paral Ko Aago in 1978.